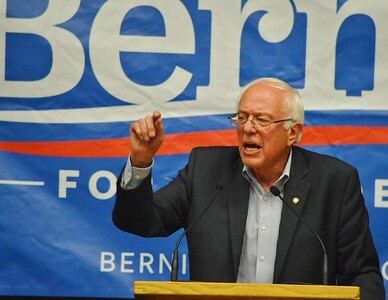 Senator Bernie Sanders, candidate for the Democratic presidential nomination, spoke at a rally at the University of Denver. 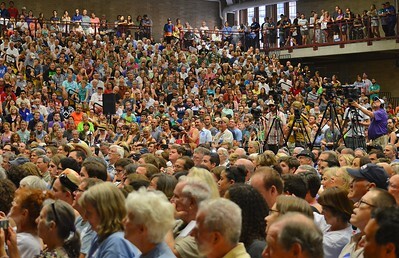 An overflow crowd of about 5,000 people attended. 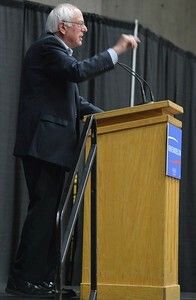 Democratic presidential candidate, Senator Bernie Sanders, gestures with hand while speaking from a podium. Large "Bernie For President" sign in the background. 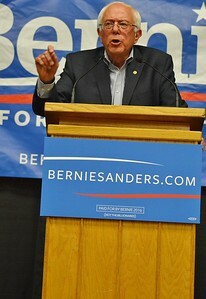 Democratic presidential candidate, Senator Bernie Sanders, speaking from a podium. 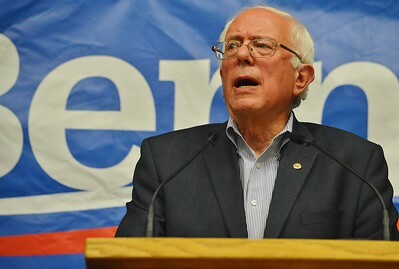 Large "Bernie For President" sign in the background. 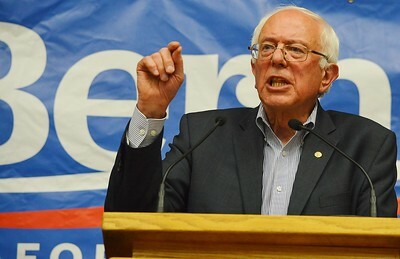 Democratic presidential candidate Bernie Sanders, pauses while speaking from a podium, large crowd to his right stands and applauds, some raise signs in the air. 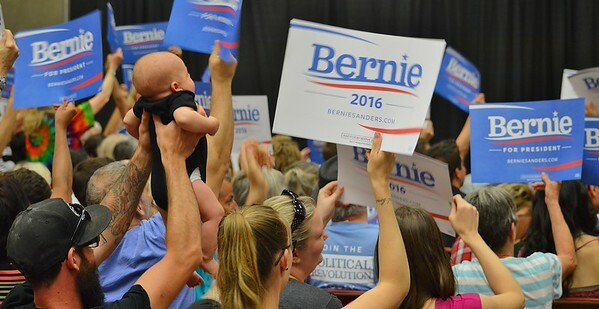 Father raising baby up in the air, in background people raising Bernie 2016 signs in the air. 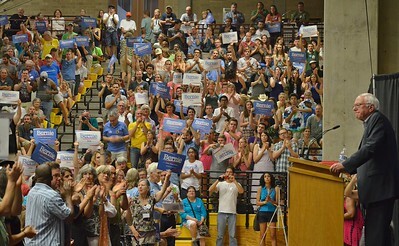 Large group of people sitting at rally, one woman on the left of frame standing and shouting, other raising Bernie 2016 signs. 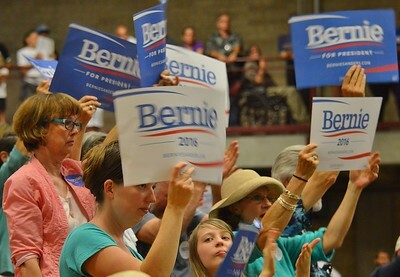 Three women and others at rally, stand and raise Bernie Sanders signs in the air. 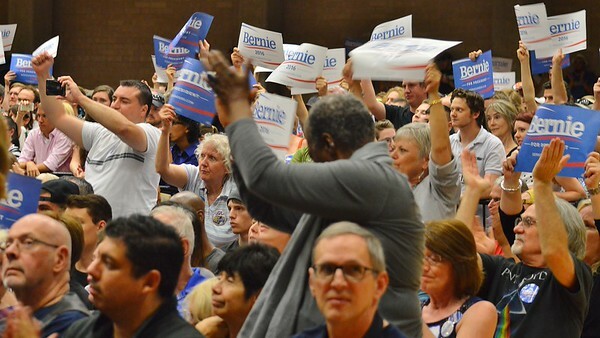 Large crowd standing, shouting and raising Bernie 2016 signs over their heads. Large crowd of people at Bernie Sanders rally, TV cameras and operators to the right. Woman stands and raises Bernie Sanders sign in the air, other around stand and applaud. 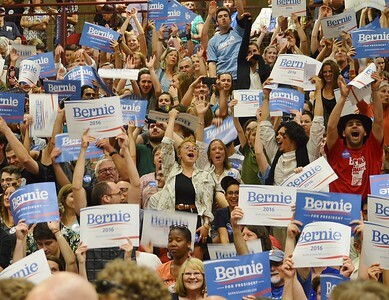 Large group of people raising "Bernie For President" signs in air at rally. 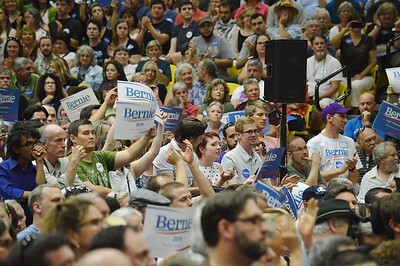 Large crowd of people sitting at rally, raising Bernie Sanders signs in the air. 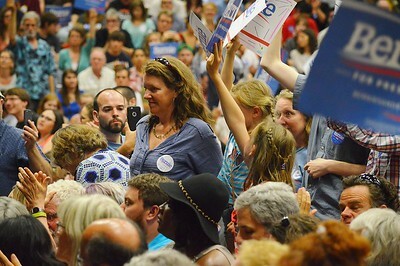 Woman wearing Bernie Sanders sticker standing at rally, in middle of large crowd sitting around her, others standing behind her raising signs. 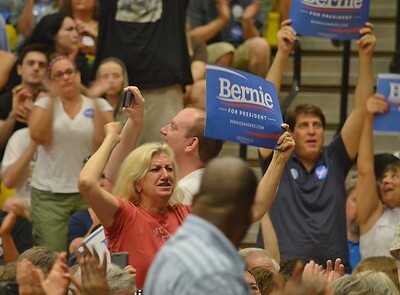 Bernie Sanders supporters at rally, raising signs in the air. 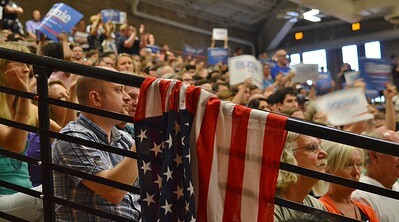 American flag draped on a railing, in background, large crowd at political rally, some raising Bernie Sanders signs in the air. 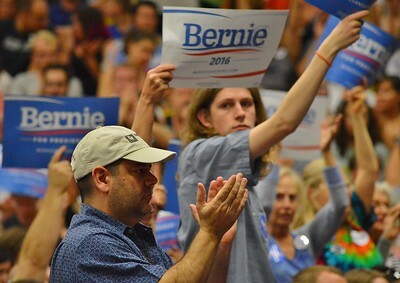 Man wearing cap stands and applauds, in background younger man and others raise Bernie Sanders signs in the air. 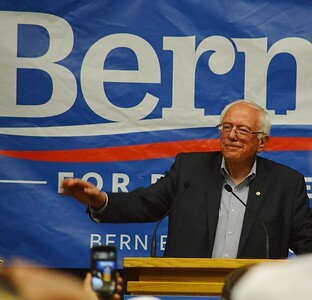 People at rally stand and applaud, some raise Bernie Sanders signs in the air.